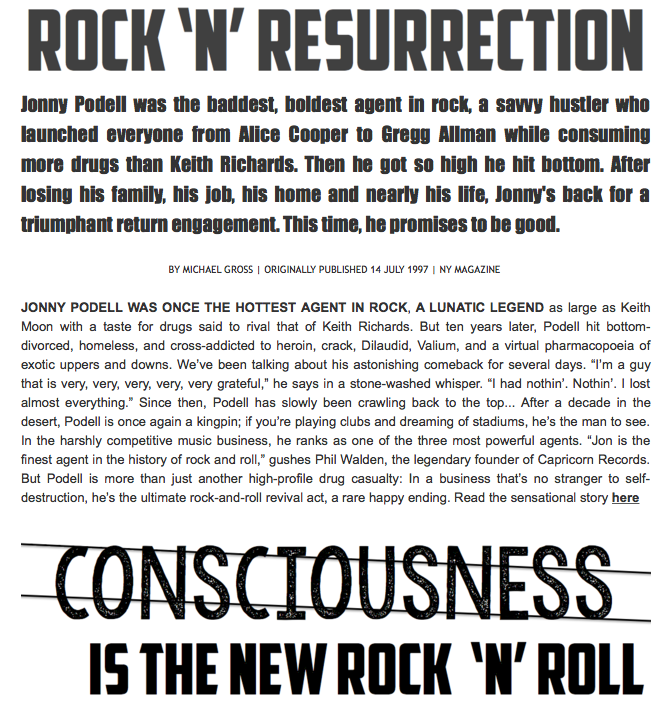 JONNY PODELL One of the most legendary behind-the-scenes figures in rock ‘n’ roll history, Jonny Podell forever transformed the concert business. In a career spanning more than four decades, he has built a string of successful companies, including the most recent, Podell Talent Agency. As creator of the first “boutique agency,” BMF Enterprises, in 1974, he is credited for single-handedly changing the way rock shows were booked. 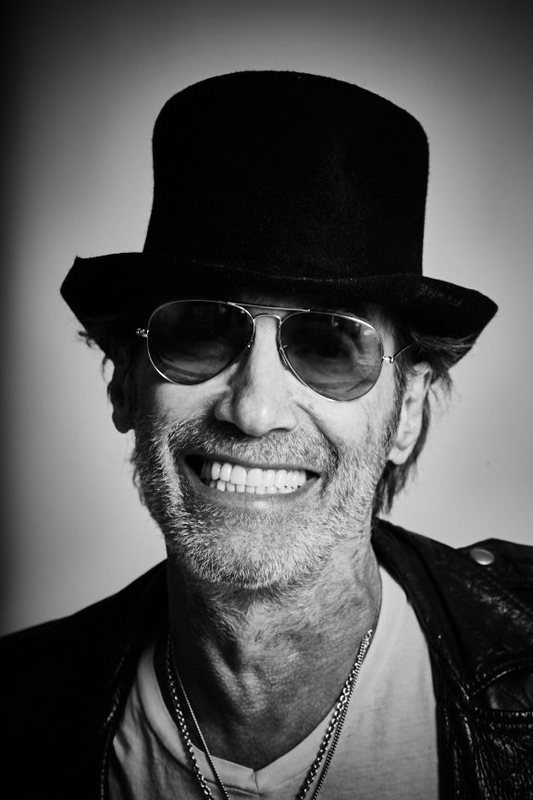 Among the numerous Hall of Fame artists Podell has represented are the Allman Brothers Band, Alice Cooper, George Harrison, John Lennon, Blondie, Lou Reed, Rod Stewart, Jimmy Page, and Robert Plant. Podell collaborated with his long-time friend Bill Graham to put together the historic 1974 trek by Crosby, Stills, Nash, and Young—the first stadium tour ever, selling out 50,000 seats in every city and establishing a new way to present rock ‘n’ roll. As Head of Music for William Morris Agency, and then as Worldwide Head of Music for International Creative Management, Podell continued to add to his roster of stars, discovering illusionist David Blaine and signing long-time hero Peter Gabriel. Helping the singer realize his dream, Podell brought Gabriel’s WOMAD Festival to America. The festival drew 100,000 concertgoers to Golden Gate Park, the first time that the city of San Francisco had ever allowed a paid event in that location. Evolution Talent was the next step for Podell and his new partner, David Zedeck. Together they helped guide the careers of pop sensations ‘NSync, Backstreet Boys, and Britney Spears, at one point in 2001 booking stadium tours for all three acts at the same time. 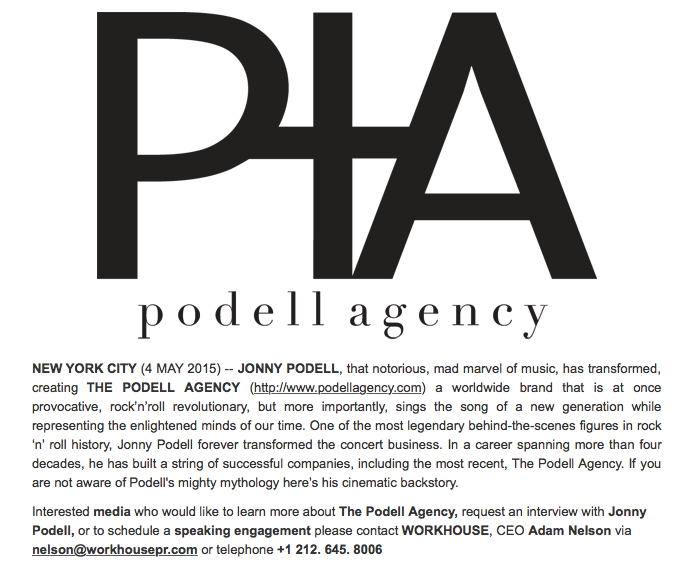 After exiting Evolution in 2004, Jonny opened Podell Talent Agency. Adding stars like Van Halen, Gipsy Kings and Cyndi Lauper to the Hall of Fame artists that continued to follow him, he turned his attention to creating franchises for his clients. Cyndi Lauper’s True Colors benefit concerts and tours engage audiences to take part in the advancement of LGBT equality. Among other initiatives, True Colors is now the “go to” site for homeless youth. Having already built housing for this community in Harlem, the 40 to NONE project leads the way in fighting the epidemic of homeless gay youth. Podell also created two ongoing festivals—Wanee Festival in Northern Florida and Peach Festival in Scranton, Pennsylvania—for the Allman Brothers. 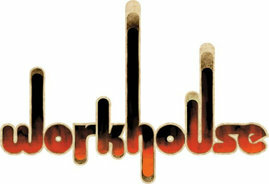 These franchises will continue to generate income for the founding artists long after they choose to stop touring. Chapter Two of Podell’s life began in 2012 when he finally tamed his high-flying lifestyle. What began with simple meditation grew into a full-on spiritual awakening. Inspired by the words of his idol, Muhammad Ali—“service to others is our rent for being on this planet”—he embarked on a personal journey of consciousness and truth, searching for a way to best serve the world. 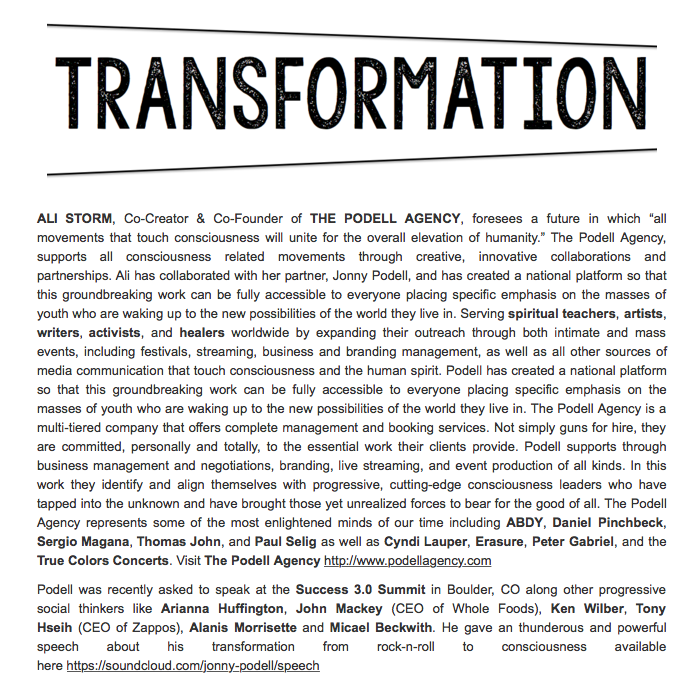 In this spirit, Podell has merged his new desire to serve with his existing infrastructure and music business acumen.